The “box office gurus” who spoke to Nikki Finke of a $200 million five-day take for “Harry Potter and the Half-Blood Prince” were, to employ a bit of British understatement, just a bit off. According to all the estimates, the David Yates-helmed picture netted a relatively earthbound but still terrific series-best $159.7 million since its release last Wednesday, with $79.5 million of it earned over the weekend. 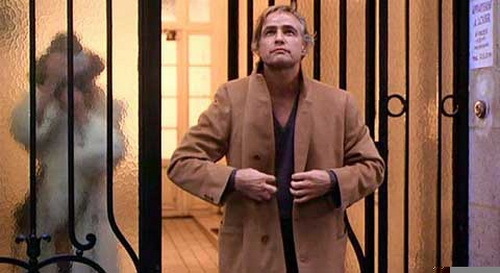 The film’s international take is said to be extremely good, but no numbers are available as of this writing. Nikki Finke, however, has people whispering in her ear that it won’t get close to “Transformers: Revenge of the Fallen” take, and, realizing that the non-humanity driven franchise did break the $200 million mark on its opening five day take (albeit on a long holiday weekend), that seems reasonable enough to me. Let us do as Harry would and mutter a charming British curse under our breath. Still, it’s not a bad time for Warners, owner of DC Comics as well as Bugs and Daffy, et al, once again showing that it knows its way around a character-driven franchise. On the other hand, the semi-serial nature of the Potter films might be largely responsible here for the non-ultra-stratospheric take. Adults and others who’ve never gotten on the Potter bandwagon might be slower than ever to jump on it at this point. And now for something completely differerent: Based on the news of bad electronic word of mouth and the like — and knowing that the audience for comic male genitalia in a gay context might be limited, to say the least — I certainly expected a dip in the fortunes of “Brüno,” but not the humongous 81% drop that The Hollywood Reporter reports. Sacha Baron Cohen’s semi-reality comedy earned a sad estimated fifth place $2.8 million over the weekend, meaning that it likely won’t beat “Borat” and that Mr. Cohen’s future in more conventionally-made pure-fiction comedies might be somewhat assured — though it would be foolish in the extreme to count the comedian out (though some will, because some enjoy doing that). Also, once again, my modest prognosticatory powers were proven even more more modest. Just in case you were wondering, the #2 spot this week was taken by “Ice Age: Dawn of the Dinosaurs” with $17.7 million and “Transformers 2” hanging in at #3 with $13.8 million, while I still wonder just what the attraction is. But, to paraphrase something someone brilliant once said, both in art and in movies, we are stunned by the choices of others. Not that kind of quicky. I’m referring to brief links to stuff around the interwebs, tonight with a geeky edge. * The “actuals” are in on the weekend box office race. 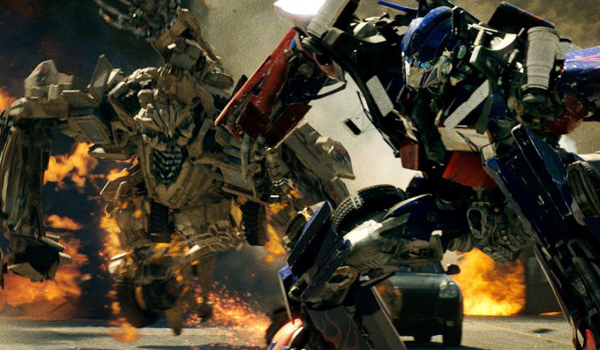 The “Transformers” sequel won by a wafer thin half a million smackers, dang it. * I’m not sure how this started, but my pattern on the “Harry Potter” franchise has been to read the books just before the films come out. To avoid spoilers for “Harry Potter and the Half-Blood Prince” (I’m on page 139 and the story’s barely begun), I’m not reading any reviews right now. Thanks to the miracle of Rotten Tomatoes I can nevertheless say that the reviews for the film thereof are looking quite good thus far. That’s a good thing because director David Yates is finishing out the series, which seems to be wrapping up much better than it started. The choice of Yates, a specialist in TV miniseries, to wrap up the films makes a lot of sense, especially since that’s essentially what the Potter movies are — the most expensive miniseries ever made. Let’s see if we can’t keep it simple. After a bit of seesawing over the weekend, it looks like we have a straight tie for domestic box office in the battle of the colon-ized sequels, at least in the domestic estimates. “Transformers: Revenge of the Fallen” and “Ice Age: Dawn of the Dinosaurs” both yielded a very healthy estimated $42.5 million. ” So says both Variety and The Hollywood Reporter. Of course, the tie will be broken when the b.o. “actuals” will yield a winner, Franken v. Coleman style, tomorrow night, however. “Transformers” also continued its strong performance overseas and is nearing the $300 million mark for its cumulative total. As Nikki Finke points out, however, the $215 million that “Ice Age” took sets a new international record for an animated film. So everyone’s going to have no problem getting a good table at the restaurant of their choice this week. Returning to the domestic market, the strong numbers also continued in the #3 spot, with “Public Enemies” netting an estimated $26.2 million over the weekend and $41 million for the five days since it’s Wednesday opening. That assuages some of the fears about the film and proves that some adults will still leave the house to turn out for a movie with a bit of heft into it, even in the face of somewhat mixed reviews. Meanwhile “The Hangover” (which I really need to go see now), crossed the $200 million mark, proving that making audiences laugh will never hurt you, assuming they’re supposed to laugh. In smaller release news, Kathryn Bigelow’s extremely well reviewed Iraq-set bomb disposal thriller, “The Hurt Locker,” really is starting to look like the possible break-out film among limited releases. It’s generating good word of mouth in my actual real life from actual real people and netting the best per-screen average of any film two weeks running. That’s in a minuscule nine theaters — about 4,223 fewer screens than “Transformers” — so we’ll see how it does when it expands to non-mega-metropolises. Will “Transformers” make “Dinosaurs” of us all? * It’s not really about the reviews (neither film was liked by critics), but as a human being who likes to watch movies about human beings (and anthropomorphic animals, too), I find it somewhat reassuring to report that, according to Variety and everyone else, “Ice Age: Dawn of the Dinosaurs” edged out “Transformers: Revenge of the Fallen” $13.8 to $10.9 million. In other mildly good news for movies that at least attempt to tell actual stories, “Public Enemies” came in an unsurprising third, but performed somewhat above expectations with $8.2 million on its first day. I’ll give you more definitive box office info on Sunday, as usual. * The Hollywood Reporter says that the very old video game, “Asteroids,” is being turned into a movie. I guess “Pong: The Movie” was already taken. (That joke can’t be original, can it?) Begging the question: Why?????????!!!!!!! I’m not saying it couldn’t turn out to be a fun movie — miracles happen. However, in a world where we have thousand of science fiction novels, comics, and TV shows of all levels of quality to adapt, why use a game only old guys like me remember as an excuse to make a silly sci-fi flick? I don’t see even a small marketing advantage here.